Two interesting bat facts are their ability to "see" with their ears (echolocate) as well as their eyes and to hang upside down for hours on end without getting dizzy. But wait till you read the ones below! 1. But first of all, let's start off with the "summer sleep" which some members of the leaf-nosed bat family (Phyllostomidae) are thought to go into. Known as aestivation, this is when animals go into a dormant state during hot, dry weather conditions. This is to protect themselves from the harm the heat could do to their bodies and also to stop themselves from drying out. Who'd have thought that some bat and snail species would have something in common! 2. According to Phil Richardson, author of Bats , they've sometimes been the victims of violent evictions by starlings. These characterful and very vocal birds have even been known to kill bats who have turned a vacant tree hollow into a roost site, so that they can move in. 3. In a country deep in the south-east of Europe, bats have shaken off their association with the creepy and sinister and are instead considered to impart good luck. According to Larousse's Dictionary of World Folklore, bat bones are considered to be a lucky talisman in the Republic of Macedonia. 4. According to a Bat Conservation International article, the South American frog-eating bat can eat up to 40 frogs in one night! 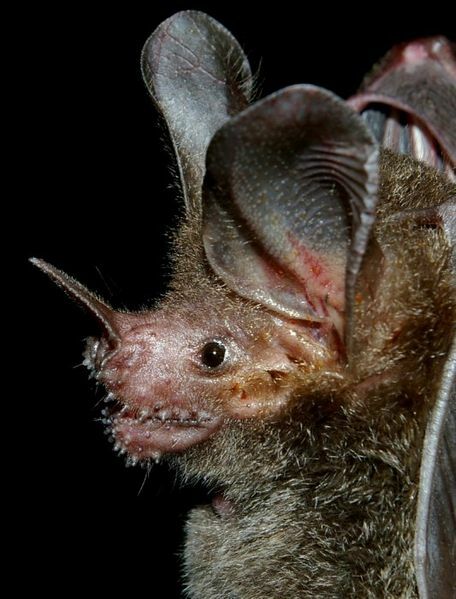 Also known as the fringe-lipped bat (Trachops Cirrhosus), they're also quick learners. Merlin Tuttle, the founder of BCI, was able to train them to come to his hand when he called, go to where he pointed and to wait until they heard the sound of his camera before they started to fly to where they'd been previously trained to go to. And all this was achieved within a few hours!